You don't even want to know how excited I am for the month of October around these parts! I am so friggin' excited!!! I want to try and post every day and get up some awesome tutorials for my Youtube for Halloween. I have so many great ideas I can't wait to share plus the electricity is back on and I think the blogger app worked out fairly well so I've got my bases covered. 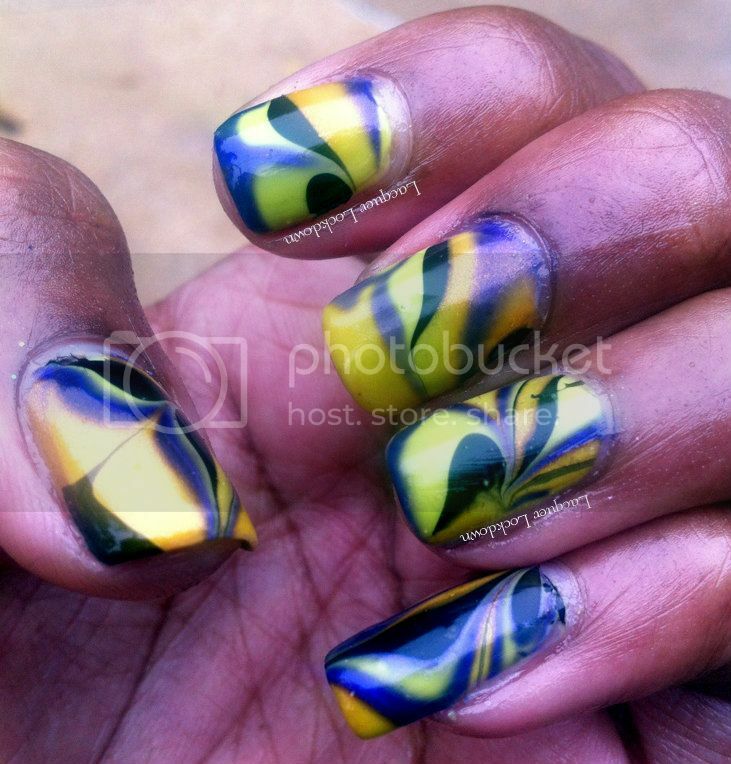 Its come to my attention that I've never done a "full" water marble mani round these parts. 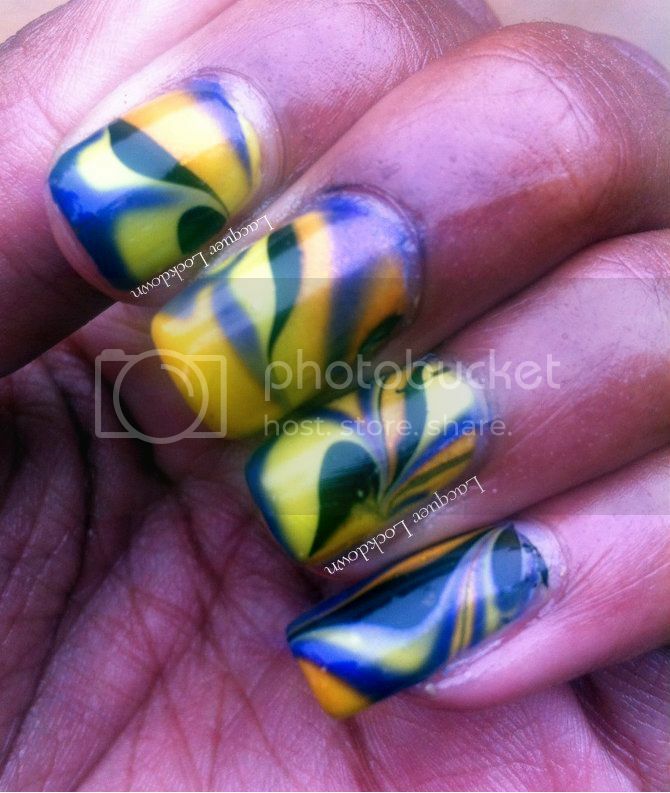 Mostly I've done them as accents or as part of a trigger style mani. So to kick off the Halloween felicitations today I'm showing you a full neon glowing creepy crawly mani. Let's get onto the art shall we? So let's talk about Totally 80's shall we? This polish is almost impossible to photograph! I had to color adjust like mad to get to the true color on screen. It is a screaming highlighter yellow/green that hurts my eyes to look at directly in the sunlight. Now that is saying something huh? Three coats are shown here over one thin coat of Essie's Marshmallow, and like all neons this one is a bit on the thicker side but has nice self-leveling. I fully expect to use this one again this month it's such a great base color! This is so cool !!! I love all the colors you used !! OMG this looks absolutely gorgeous! The colors you chose are perfect!